"Nothing in science can account for the way people feel about orchids. Orchids seem to drive people crazy. Those who love them love them madly." I cannot pass by a flower shop without stopping to smell the roses or scooping up tiny potted succulents and cacti to decide which ones to bring home. I think pansies are just adorable to look at, their naturally blooming faces always make me smile.. but there is one flower I am obsessed with. One flower I am deeply, madly, truly in love with. Orchids are ancient living flowers that have adapted to every environment on earth; they outlived dinosaurs to hybridize, mutate, and crossbreed into thousands upon thousands of orchid species. They are considered to be the most highly evolved flowering plants on earth; the number is uncountable, it is constantly changing as new varieties are discovered and even more are crossbred in laboratories. Orchids are not just beautiful they are peculiar and bizarre, they are ugly when they are not flowering, and curiously pretty when they are. 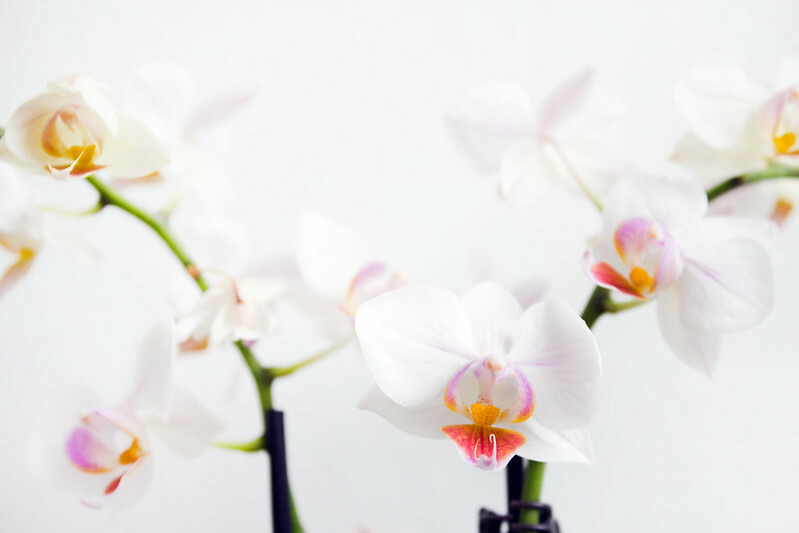 Some orchids are microscopic while others have flowers the size of footballs, their colours can be solid or veiny, neon or spotless, brilliant white or hot pink, even burgundy and black. Some look like dogs, others like monkeys, there are orchids that pretend to be birds, others that want to be octopuses, and some event mimic insects. Orchids are strange yet undeniably beautiful. Orchids grow slowly; they can take years to mature, flowering briefly and then resting for months. They are one of the few things in the world that can live forever. Cultivated orchids are often left in the wills of their owners, passed on through the generations. I finally purchased a tiny delicate orchid for the new apartment, a beautiful lilac-pink and white miniature phalaenopsis (moth orchid) and after leaving three huge orchids back in Kent, she makes the apartment feel like home. 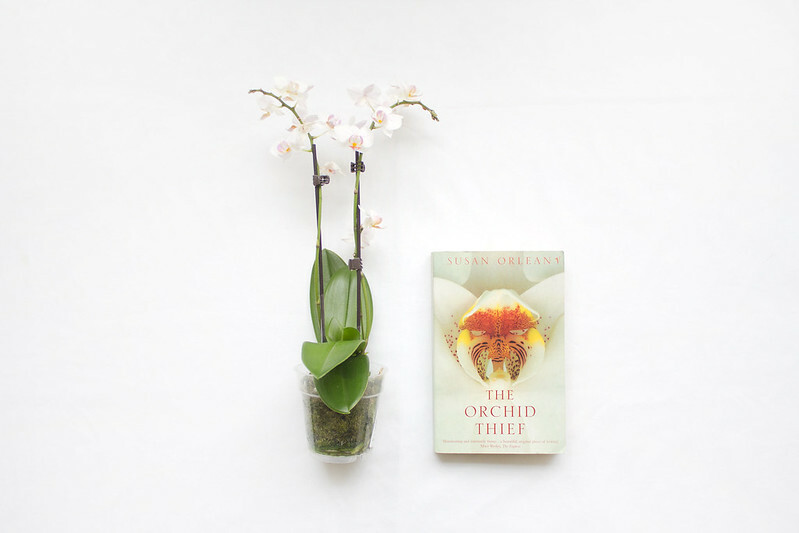 I would highly recommend reading The Orchid Thief by Susan Orlean, it's a phenomenal book that is as much about plants as it is about the human condition. It's one of my absolute favourite books and thoroughly encouraged my love for orchids. I love orchids, and my boyfriend bought me one but my cat liked to play with it so it didn't survive. Maybe one day when I have a cat proof room orchids will grace it! orchids are beautiful, pretty much my favourite. What a lovely plant and beautiful post. Now I want to in delve myself a little more into the orchid world! this was lovely to read. orchids always make me think of my nan, so i always think of her when i see them (as well as magnolias). i'm not sure an orchid would do too well in this house, but they sure are stunning. Ohhh that sounds WONDERFUL! I absolutely love plants, I don't know much about them but I try to read as much as I can.